Charities and social enterprises have today been awarded £680,000 from a fund to improve impact management. The awards, which are the last from the Impact Management Programme's Impact for Growth fund, mean 41 charities have shared a total of £1.8m from the initiative. 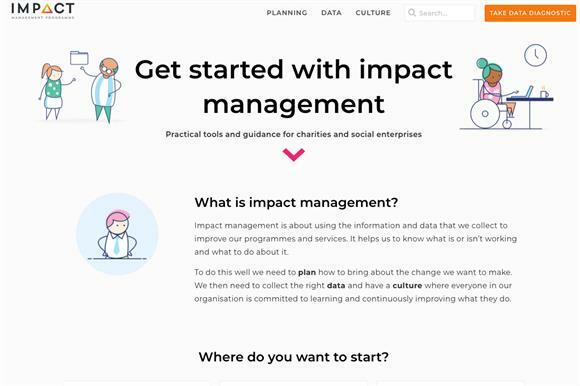 The programme has been established to help not-for-profit organisations improve their social impact and provide better evidence of how they are doing it so they can access more social investment and contracts. It is run by partnership of organisations that include the think tank NPC, Social Investment Business, Impetus – the Private Equity Foundation, the National Council for Voluntary Organisations, Social Value UK, Social Enterprise UK and the design agency Hactar. Access – The Foundation for Social Investment and the charitable trust Power to Change provided funding. The average size of the one-year grants is £45,000. Those selected include Legacy Sport CIC, which will use its £47,000 to extend a cycling training programme for young people in Yorkshire and the Humber, and the London Irish Centre Charity, whose £49,000 grant will enable it to work with a consultant to rethink its approach to social impact. Sean Kennedy, chief executive of the London Irish Centre Charity said: "This process has enabled us to become more effective and deliver greater impact to the wider Irish community." Seb Elsworth, Access’s chief executive, said the programme would "help charities and social enterprises to better understand and manage their performance and resources to improve services for their users". Social Investment: Is it going to thrive?